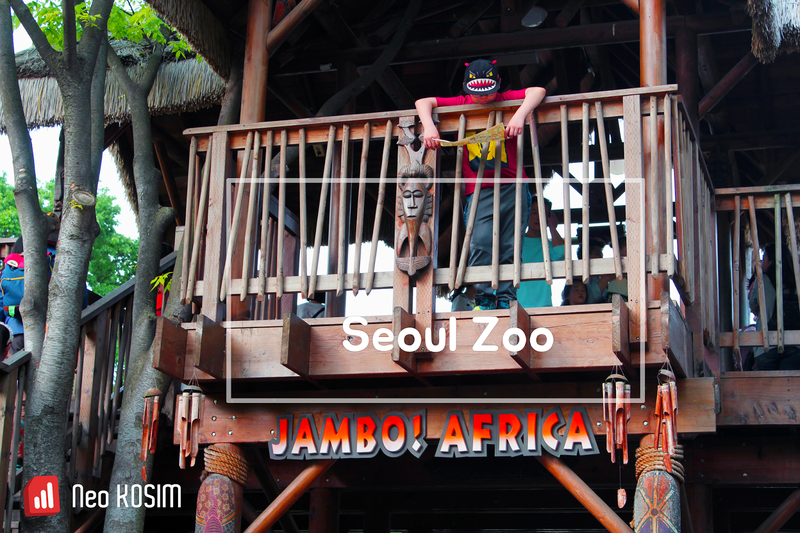 Let’s go to the Seoul Zoo(서울동물원) in the forest ! Oh, What a dazzling sun shine of May it was! The sweet sunshine was continuously stimulating my instinct of being away from home. Today is 5 May which is the Children's Day. 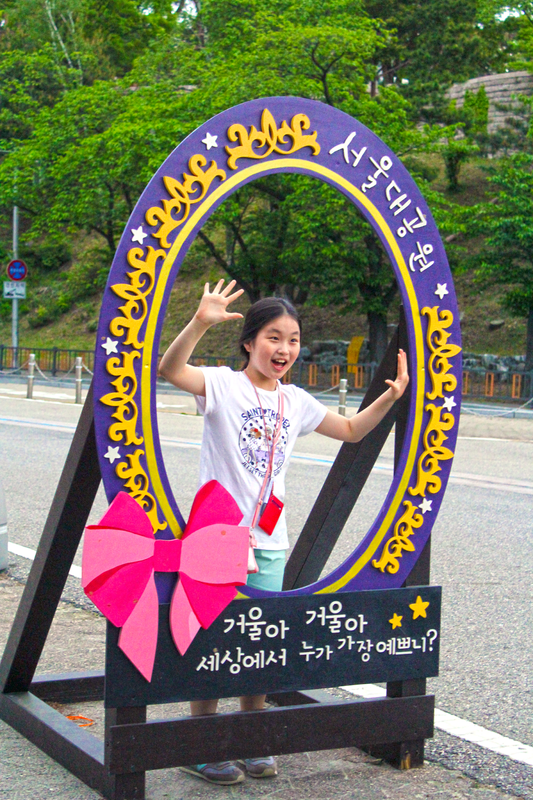 On this day many public attractions such as main old palaces, royal tombs, Jongmyo(Royal shrine) and other some places related to children are used to be allowed for free admission. 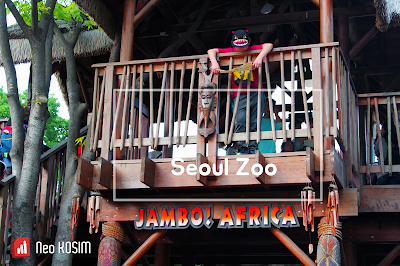 I made up my mind to head the Seoul Zoo because I couldn't wait to enjoy the bright spring sunshine. 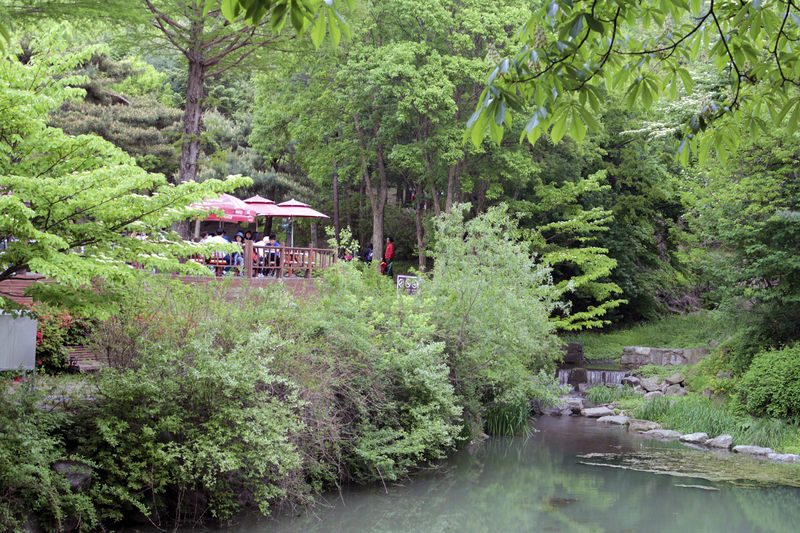 It is located in Gwacheon city(과천시) next to the south of Seoul and can be accessed easily by subway line 4. 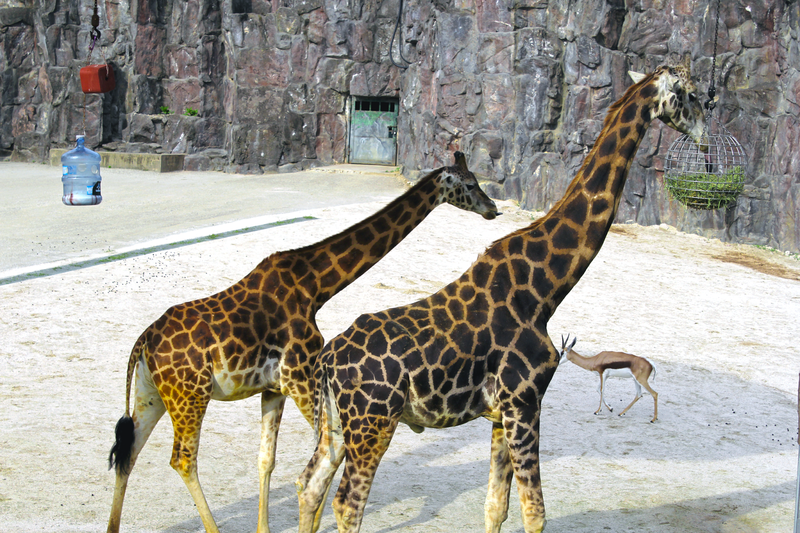 By the way why the name of it is ‘Seoul Zoo’ instead of ‘Gwacheon Zoo’? It has been still under the control of Seoul city even though it was opened in Seoul at first in 1909 and relocated to its current site in 1984. The most one of all what I love this zoo is shut in by millions of tall trees across the zoo and seems like to be a forest. With this reason this has been loved zoo as well as picnic area for the family by all the generations. Here has been maintained animals and preserved the nature so well. This is the various wildlife living area and yet there is no resistance at all for me to visit there. Of course, I'm not saying you could avoid the scents of animal refuse. If the smells were not there, it would not be a zoo any more. 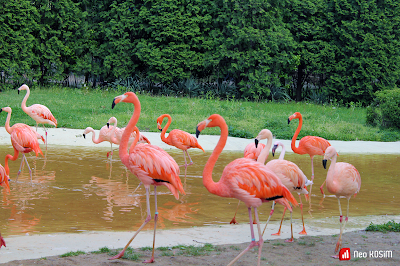 The first delight for me was always flamingos put on airs of colorful flame feathers next entrance. 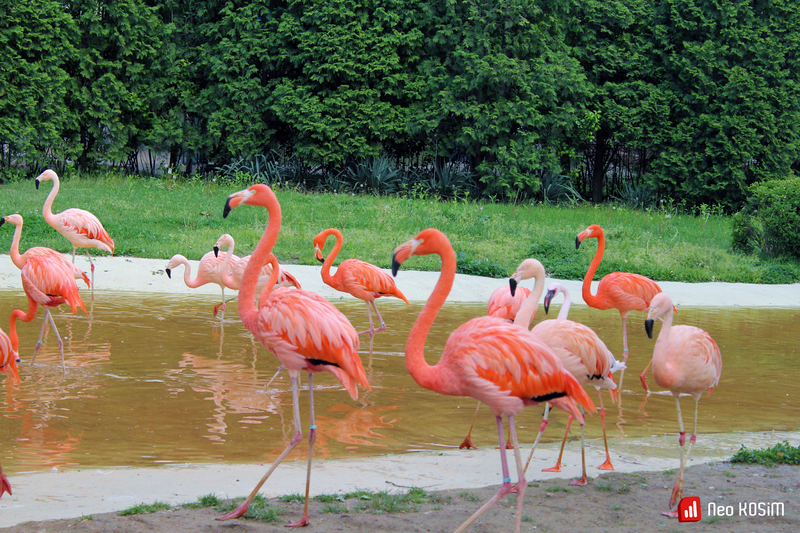 Skinny leg, strong red color, pliable long neck! To be sorry,I missed their show at this time. 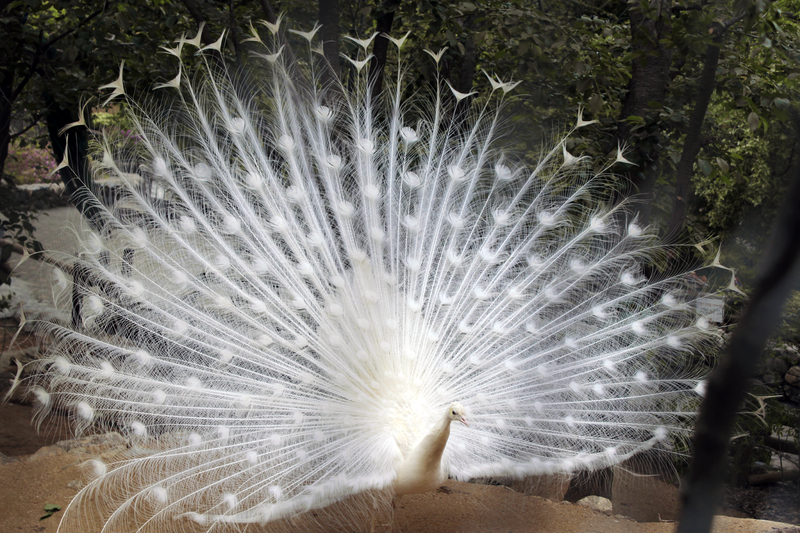 When I visited before,they gave me the elegant and ornate show (3;30pm-daily, 11;00am-additionally on weekend). Giraffe, zebra, meerkat, Fennec Fox, cheetah, tiger, lion, peafowl, deer, snakes, elephant and so on. 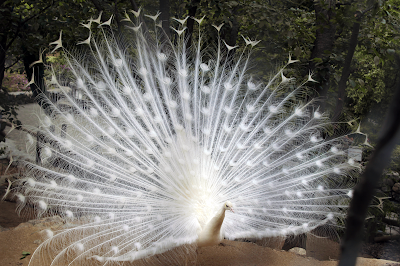 The peafowl was boasting by stretching out its magnificent fan on the very right time when I reached. It was turning round and round on the same spot on that way. I touched luck.I met endless baby carriage line everywhere I went. I was given extra gift from all cute, adorable kids. How precious they are! 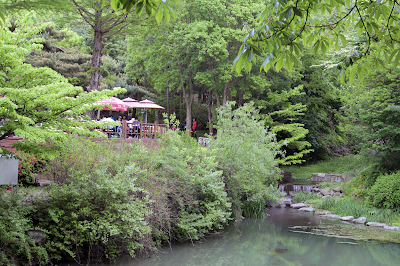 Tiny pavilions located at intervals helped relax time and some people ate foods prepared their own. Mirror, Mirror, Who's the fairest of them all ?